The last episode in the third and final trilogy in the Skywalker 'Star Wars' saga has been a complete mystery up until now. Thanks to the launch of 'Star Wars' Celebration in Chicago, celebrating 20 years since the release of 'Star Wars: The Phantom Menace', we are able to enjoy panels from the masterminds behind the film, J.J Abrams (writer and director) and Kathleen Kennedy (co producer and the head of Lucasfilms). The event, which spans across the entire weekend, also features interviews from creators, designers and stars. The highlights will be streamed live on YouTube and on the official 'Star Wars' website, so tune in so as not to miss a thing! The most highly anticipated panel was, of course, the official 'Star Wars: Episode IX' panel with Abrams and Kennedy, which began today at 11:00am local time (17:00 GMT). The filmmakers answered an array of questions regarding this galactic end to a 50-year-long era. In response to one question regarding the new film's location, Abrams admitted that "The movie doesn't pick up immediately after the last film, some time has passed by". The director added that we can expect to see the main group united on an adventure together, something for which we was excited: "they are just the most wonderful together". The cast of 'Episode IX' also joined the creators on stage, revealing some incredible details about the upcoming story. [i/]https://www.movienco.co.uk/stars/naomi-ackie/[i]Naomi Ackie[/i] was a new edition to the cast in this film and the name of her character was revealed to be Jannah. 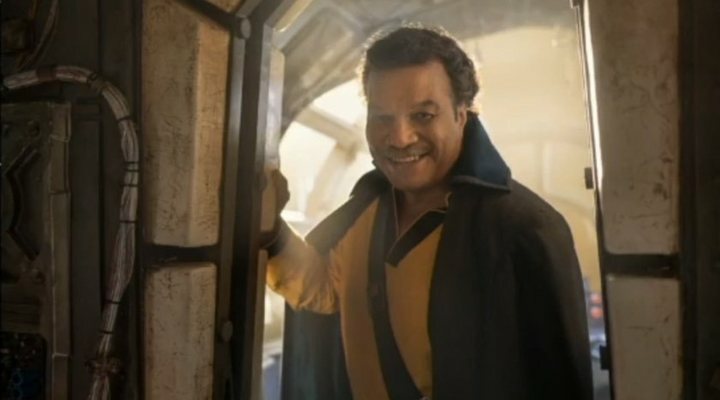 Although the actress avoided responding to any rumours regarding Lando Calrissian being her father, she admitted that she was excited for people to see how her character crossed paths with the main cast. When Carrie Fisher sadly passed away, not only was her loss felt deeply among the cast at crew, but her character's future in the saga was also in jeopardy. When asked about how the team dealt with the loss, J.J. Abrams replied: "You don't recast that part and you don't suddenly have her disappear [...] The idea of having a CG character was off the table, we never even wanted to try." However, by using scenes cut from the previous films, they were able to still include the beloved character in the saga's finale. The director admitted, "every day it hits me that she's not here. But it's so surreal because we're working with her still [...] Princess Leia lives in this film in a way that is mind blowing to me". Finally, the big revelation of the day was, well, revealed. There was a title ('The Rise of Skywalker'), there was a teaser trailer, and there was a mysterious laugh that later was revealed to be... Emperor Palpatine's. We had answers, but now we have a lot more questions! The film comes to cinemas this December.